Class 25 locomotives 25303 (front) and 25323 wait to drop off the stock of the "Cambrian Explorer" excursion from North Walsham. 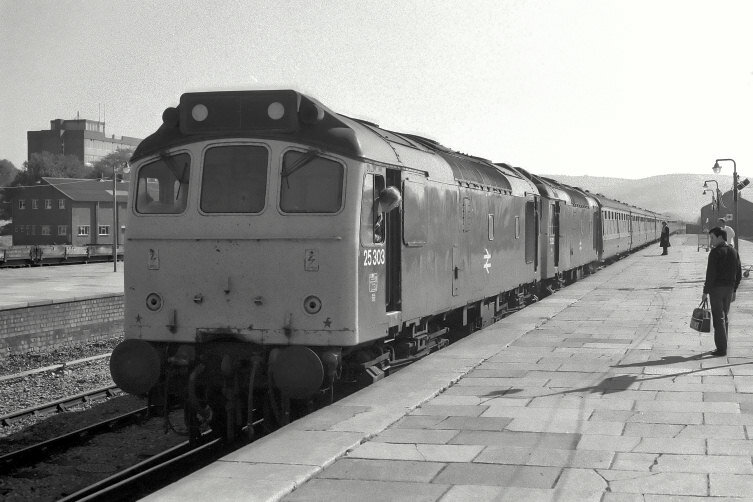 This was the last booked excursion train to Aberystwyth that featured class 25 locomotives. All images on this site are copyright Alan Baylis © 2007 (unless otherwise stated) and may not be reproduced in any form without prior consent.